On this very highly-priced stretch of real estate with a view, Cita Resort offered a refreshing insight into how good value, beautifully designed accommodation can be done without fleecing your guests. Cita has just five, two-tier wooden bungalows with thatched roofs that are stylishly designed to integrate an open-air shower and bathroom and separate lounging space underneath the bedroom. 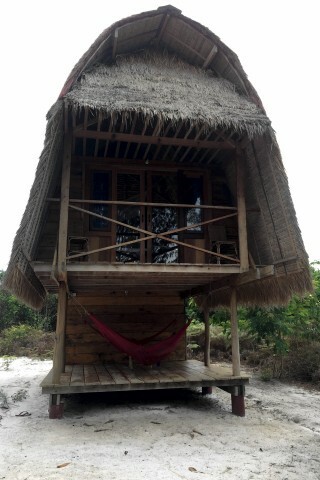 The rooms are big enough for a bed and storage space, with a high ceiling for the mosquito net, and to help them keep cool, and have their own glass-front with a view out to sea, and a small balcony. They are in a word, or two, incredibly sweet. The bar and restaurant looks straight out to sea, and offers delicious Italian food, including hand-made pasta, pizza and bruschetta, all at very reasonable prices. The setting is gently relaxed, with a certain sense of style. In other words, Italian. The staff were very friendly and helpful, and nothing seemed like too much trouble. We were shown far lesser properties at double the low season prices being sought at Cita. Last updated on 22nd June, 2016. Slightly more for a seaview. Room: Bungalow fan private bathroom, low season: US$40, high season US$80. Notes: Slightly more for a seaview. 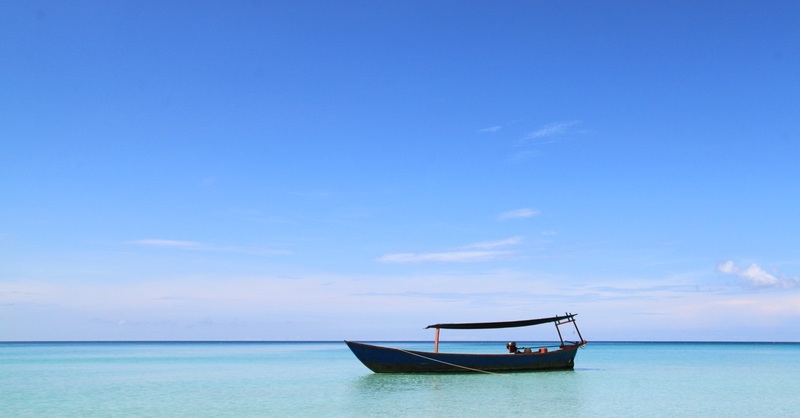 Where are you planning on heading to after Koh Rong Samloem? Here are some spots commonly visited from here, or click here to see a full destination list for Cambodia.